British Capitalism after the Crisis: towards a politics of transformation? The 2008 financial crisis embodied a huge shock to the global economy. In Britain, growth collapsed, tax revenues declined and government borrowing costs sky-rocketed. The crash brought the long upswing of the 1990s and 2000s to an abrupt halt. In the following decade, a new ‘post-crisis conjuncture’ emerged. 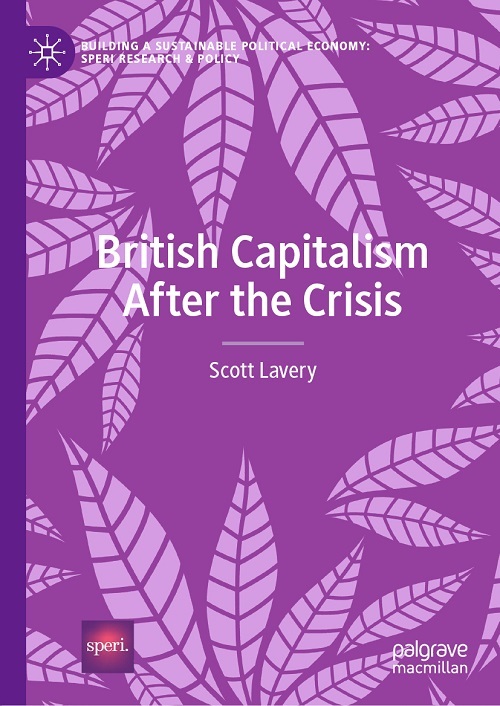 My recently published book, British Capitalism after the Crisis, examines the extent to which Britain’s political economy came to be reconfigured during this tumultuous period. Crises on the scale of 2008 have historically produced large transformations. The 1930s crisis destroyed the gold standard and eventually ushered in the Bretton Woods settlement. The 1970s crisis unravelled the compromise of post-war capitalism and was followed by a far-reaching project of neoliberal restructuring. Many observers expected a similar transformation to occur in the wake of 2008. However, over ten years since the crash, no alternative model has emerged. Finance remains dominant; rampant inequality endures; real wages are stagnant; productivity remains anaemic; uneven development has sharpened. In this context, new volatile forms of British politics – exemplified by the vote for Brexit, the May government, and the Corbyn opposition – have emerged. In very different ways, each has the potential to disrupt the established order. The battle continues to rage over what Britain’s exit from 2008’s shadow will look like. It is important to place the present moment in historical perspective. During the post-war era, the advanced economies experienced an unprecedented period of economic expansion, underpinned by strong trade unions, substantial state planning, limits on capital mobility and the expansion of the modern welfare state. As profits declined in the late 1960s and as the United States abandoned its commitment to the Bretton Woods system, a series of destabilising dynamics were unleashed. Inflation increased, growth fell and labour unrest intensified throughout the 1970s. This period of ‘stagflation’ was ‘resolved’ through a series of neoliberal reforms designed to discipline the power of labour and to re-establish the primacy of market forces. This was unleashed initially through the high interest rates and rapid de-industrialisation of the early 1980s, and was subsequently institutionalised in a US-backed framework of neoliberal globalisation. Within this context, a new growth model of ‘privatised Keynesianism’ emerged in Britain, particularly in the 1990s and early 2000s. With workers experiencing a falling share of overall output, demand was increasingly secured through increasing private debt across the household and financial services sectors. While this growth model generated steady expansion throughout the pre-crisis conjuncture, it also rendered Britain peculiarly exposed to the 2008 financial crisis. 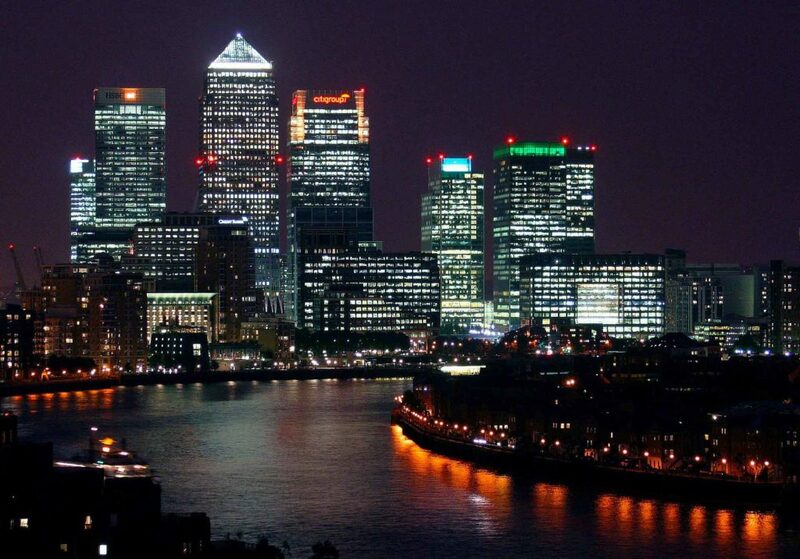 Bank balance sheets tripled, household debt ballooned, and the City of London expanded rapidly, unleashing a series of destabilising fragilities within Britain’s wider economy. This conception of a distinctive ‘privatised Keynesian’ growth model, associated with Colin Hay, Colin Crouch, Matthew Watson and others, exposes the profound structural weaknesses of British capitalism before the crisis. But this literature also advances a limited theory of the state. It emphasises how the state actively facilitates financialisation either ‘from above’, through promoting liberalised capital markets, low inflation, flexible labour markets and ‘light touch’ financial regulation or ‘from below’, by cultivating ‘financialised’ behavioural patterns and everyday norms. However, the growth model perspective pays less attention to alternative forms of state intervention and how these can stabilise the development of finance-led capitalism. In the book, I draw on the tradition of neo-Marxist state theory, associated with Bob Jessop and others, to build upon the growth model perspective and to advance a more expansive conceptualisation of the state. State actors are typically driven to secure two distinct objectives. On the one hand, they must secure the conditions for continued economic growth if they are to generate sufficient tax revenues. In pursuit of this objective, they advance distinctive ‘accumulation strategies’. On the other hand, policymakers within modern democracies are driven to secure a level of popular support. In pursuit of this objective, they are driven to develop ‘legitimation strategies’ or in Gramscian terms ‘hegemonic projects’, which are oriented to securing popular support for their governing programmes. This conceptual distinction lays the basis for my analysis in the book of the political economy of New Labour and the Coalition government. New Labour advanced what I term a ‘hybrid’ political economy. On the one hand, the Blair and Brown governments advanced a finance-led accumulation strategy which bolstered Britain’s growth model of privatised Keynesianism. On the other hand, New Labour advanced a distinctive ‘One Nation’ hegemonic project which sought to channel material concessions to the social base. Spending on public services expanded rapidly while New Labour enacted a (limited) redistribution of resources to social groups who might otherwise have been excluded from privatised Keynesian expansion. Public sector and state-funded employment compensated regions which were not fully integrated into the financialised upswing, in particular within depressed areas of the North of England, the West Midlands, Wales and Scotland. New Labour’s ‘One Nation’ hegemonic project underpinned its electoral dominance and also served to temporarily stabilise British capitalism in the pre-crisis conjuncture. But this ‘hybrid’ political economy was fragile. With the 2008 crisis, it quickly unravelled. As global credit markets tightened, unemployment in Britain rose, tax revenues collapsed, and the government re-capitalised the banking system through huge bail-out packages. Britain’s public debt and deficit rapidly grew in this context. This presented the Conservative opposition with an opportunity. While George Osborne had initially committed to Labour’s spending plans in 2007, the 2008 crisis allowed the Conservatives to frame the downturn as ‘Labour’s debt crisis’ – a downturn caused by profligate spending and reckless borrowing. In 2010, the Conservative-Liberal Democrat coalition government assumed office and doubled-down on this narrative. A ‘politics of austerity’ was born. They promised to eliminate Britain’s budget deficit within one parliament and to ‘rebalance’ the British economy, both geographically and sectorally. On both counts, the Coalition failed; its economic programme deepened weaknesses in Britain’s growth model. Austerity prolonged the economic downturn. Swingeing public expenditure cuts led to low tax receipts which ultimately undermined deficit reduction. When growth returned in 2013, it was driven by falling savings, rising consumption and growing imports. By the end of the parliament, a new form of ‘privatised Keynesianism’ had emerged, albeit in a slightly modified form. While the Coalition re-established Britain’s pre-crisis growth model, it effectively broke with the ‘One Nation’ hegemonic project which New Labour had pursued in office. In its place, the Coalition advanced a distinctive ‘two nations’ strategy. Strategies of this form do not seek to secure broad-based support in society. Rather, they seek to take advantage of existing stratifications, by mobilising one ‘privileged’ group against a subordinate ‘other’. In the second half of the book, I detail how this ‘two nations’ strategy underpinned the Coalition’s far-reaching programme of welfare restructuring and public sector retrenchment. The Coalition’s project took place in a period of deep real wage decline. In this context, the incomes of welfare claimants and public employees were (temporarily) protected by the Brown government in the years immediately after the downturn. This allowed the Coalition to turn what should have been a political liability – deep real wage decline – into an asset, as the government mobilised support for public sector retrenchment and welfare cuts (a large bulk of which fell on ‘in-work’ households). While this ‘two nations’ strategy enjoyed a degree of success, it also eroded some of the key mechanisms which had stabilised British capitalism in the pre-crisis conjuncture. The final chapters turn to the contemporary moment, focussing on the period after the Coalition, between the May 2015 election and 2018. In the decade since the 2008 crash, a so-called ‘populist’ insurgency engulfed the advanced capitalist world. By the election of May 2015, it seemed that Britain had weathered the storm and avoided this fate. A majority Conservative government was re-elected. The worst of the economic crisis had seemingly passed. But destabilising currents were bubbling under the surface. Three developments re-shaped British politics in this period: the vote for Brexit, the May government and the rise of the Corbyn opposition. Each of these political forms of course has its own history and future trajectory but each also embodies a distinctive form of ‘post-crisis British politics’. Each emerged out of the volatile decade following 2008 and each pledged, in markedly different ways, to initiate a far-reaching programme of social and economic reform. The Labour Party under Jeremy Corbyn has advanced one such economic programme, as set out in the 2017 general election manifesto For the Many, Not the Few. Labour’s programme promises to fundamentally ‘transform’ British capitalism. It seeks to reverse nearly nine years of Conservative-led austerity, implement tax rises on corporations and the top 5 per cent of income earners, re-nationalise the major public utilities, increase borrowing to finance a £250 billion National Investment Bank, and develop alternative models of ownership. A future Labour government would face profound barriers to delivering on its programme. It is necessary for Labour to develop a strategy capable of overcoming these constraints. Two sets of barriers can be identified. 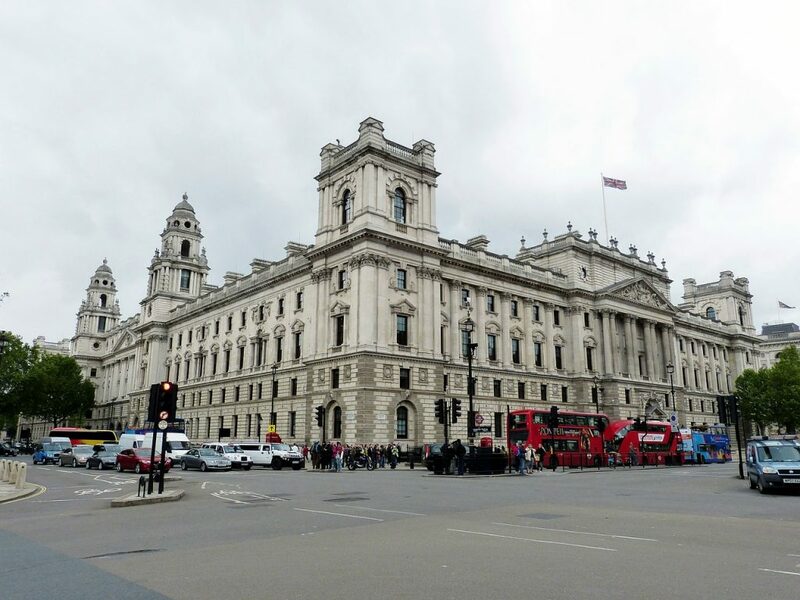 The structures of the British state, including HM Treasury, would be a ‘profound barrier’ to a future Labour government. The first is internal and concerns the structures of the British state. At the heart of the Labour’s economic programme is the objective of ‘re-industrialisation’. But cultivating a renaissance of export-led growth cannot be conjured out of a hat. Deep and sustained intervention by the state, in line with a comprehensive industrial strategy is necessary. The problem is that history teaches us that key centres of power within the British state tend to militate against programmes of this nature. In particular, the Treasury has time and again aborted attempts at state-led re-industrialisation. The National Economic Development Council of the 1960s, the offspring of the Wilson government, were marginalised by the Treasury and its prioritisation of budgetary balance. More recently, as Martin Craig has demonstrated, nascent attempts to build a ‘Green Investment Bank’ were stillborn after intervention by 11 Downing Street. A future Labour government would therefore have to develop a political strategy oriented towards fundamentally reconfiguring the institutional architecture of the British state. There is not space to outline what such a reconfiguration might look like here, other than to highlight one proposal for Treasury reform which colleagues at SPERI advanced in 2017. The second barrier which Labour would face is external and resides in the structure of the global economy. History is full of examples of Left Parties who have come to power promising fundamental social and economic change only to fail upon encountering the disciplinary power of global financial markets and creditor institutions. This was exemplified by Francois Mitterand’s failed attempt in the early 1980s to domestically reflate the French economy and, more recently, in Syriza’s capitulation to the Troika in July 2015. An international backlash of this form would be likely to undermine investment, limit economic growth and lower tax revenues, generating intense pressures on Labour’s economic programme and its room for manoeuvre. Labour needs to take these global constraints seriously. However, as I have argued elsewhere, shifts in global capitalism since 2008 have also opened-up new opportunities for a future Labour government. The ‘disciplinary’ power of transnational capitalism has been disrupted throughout the post-crisis conjuncture. This can be seen in the monetary and financial sphere, where sustained low interest rates, quantitative easing and profound global uncertainty have lowered borrowing costs for ‘credit-worthy’ states like Britain. In ideological terms, the power of conventional ‘neoliberal’ ideas have also come under challenge, not only from insurgent left parties and social movements but also from within elite global institutions themselves. The IMF, for example, has recently conceded that conventional liberal policies like fiscal consolidation and capital account liberalisation can cause instability and disrupt growth. The wider structural context of de-globalisation – falling trade and investment, the weakening commitment of the US to liberal order, and the prospect of an emerging ‘tariff war’ – further underlines the case for promoting domestic investment and state intervention, in line with Labour’s economic programme. In short, the changed shape of global capitalism since 2008 creates a series of opportunities as well as constraints for a future Labour government. Labour has emerged as a pivotal strategic point in a rising insurgency against this failed global order. Its economic programme could embody a first decisive step against it – but only if it develops a strategic orientation fit for the task at hand. The story of British capitalism after the crisis is therefore a story of both continuity and change. Long-standing structural weaknesses have endured. But these continuities should not blind us to important underlying political shifts which have also emerged in this period. There has not yet been a shift to a new model of capitalism, as occurred in the aftermath of the 1930s and 1970s crises. However, there are signs of emerging challenges to the prevailing order. If Britain is to escape from its present malaise, a radical economic programme capable of fundamentally restructuring power relations – challenging inequality, re-configuring patterns of ownership, extending democracy – is essential. Policy ‘ideas’ are not enough. A strategy for overcoming internal and external barriers to reform must be advanced. My hope is that British Capitalism after the Crisis represents a contribution, however modest, to this important task. British Capitalism after the Crisis is published by Palgrave Macmillan as part of SPERI’s series ‘Building a Sustainable Economy’. The book is available to buy in hardback and e-book format. A book launch will be organised in Sheffield later in 2019.